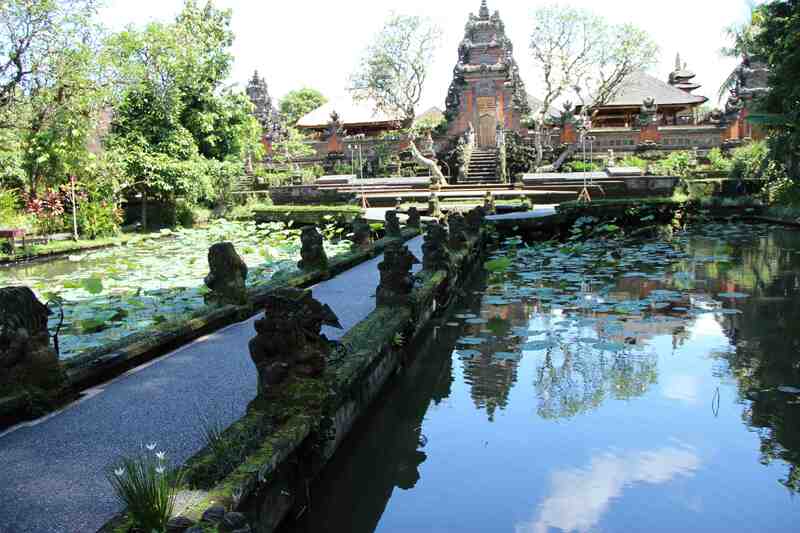 The temple for the royal family of Ubud. A statue in the temple. 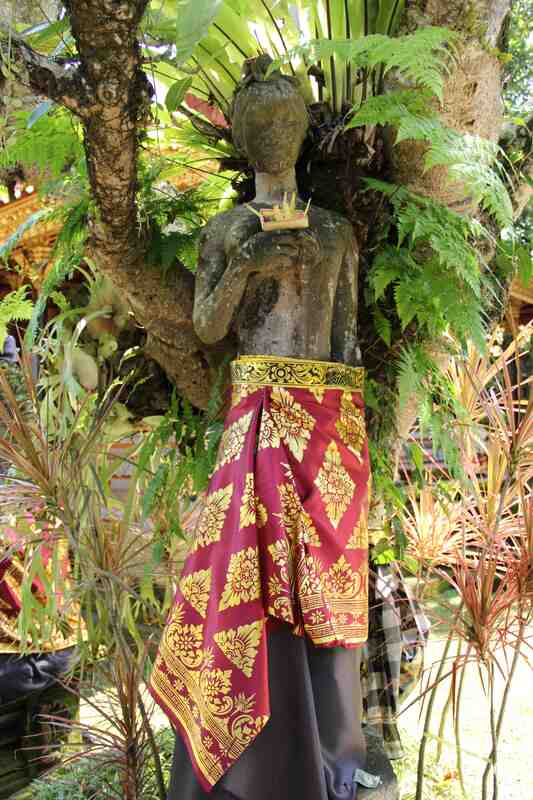 Even the inanimate objects had to wear sarongs to show respect. 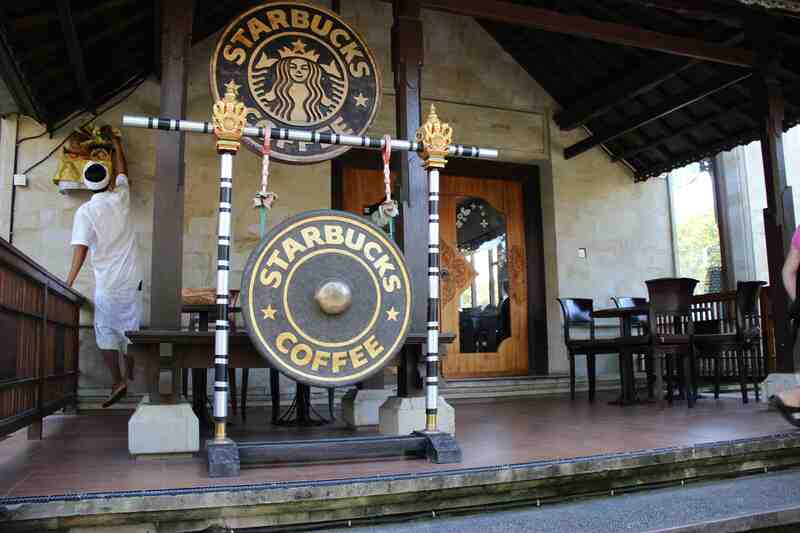 A Starbucks coffee shop complete with a logo-adorned gong. 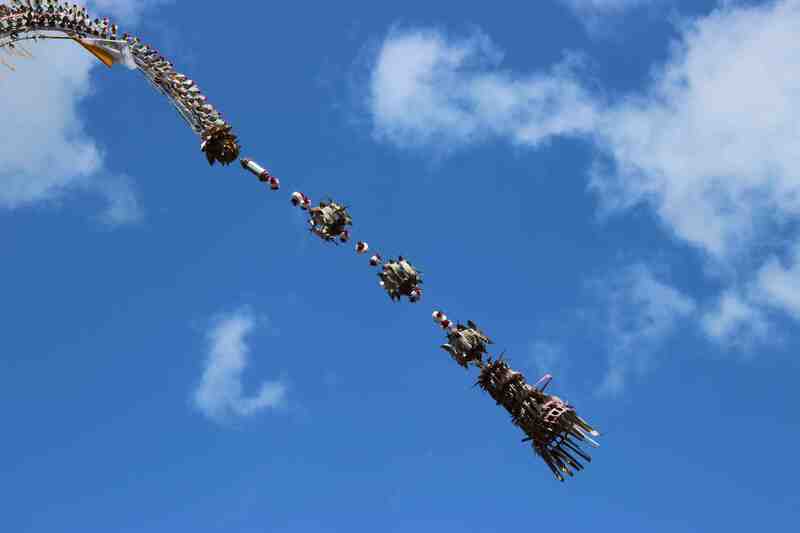 Ubud is a very popular tourist hangout, after all. A decorative palm leaf creation waved in the wind against a tropical blue sky. 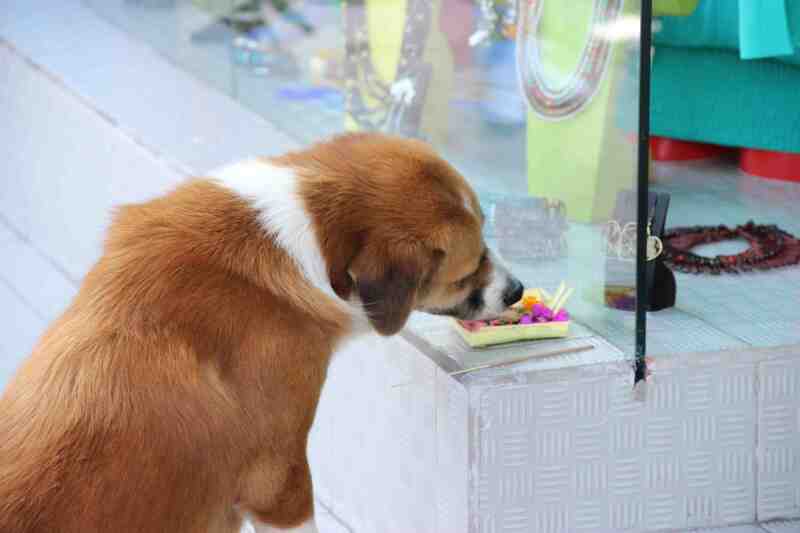 The dogs in Bali haven’t been clued in about the meaning behind the daily offerings. For them, the sweet food to appease the gods is a great afternoon snack. I spotted this ornately decorated wooden elephant in a shop window. The reflection from the glass resulted in a self-portrait of sorts. A local woman wove dried palm leaves into intricate designs to sell for a wedding celebration. When we stopped for lunch, we marveled at the rice paddy just outside the restaurant’s patio. And as we left the city of Ubud to head toward Gunung Batur, the rice terraces along the way were even more impressive. This tourist seemed to think the life of a rice farmer was glamorous – he posed with props while his friend snapped photos. The pools of water in the amazingly green fields glistened in the sunlight. When we arrived in Kintamani, the village surrounding Lake Batur, clouds from the recent rainstorm were hanging around the peak of the mountain. The view from the massive glass window at the front of our simple hotel room was breathtaking. After arriving, we ate a quick dinner and went to sleep early to prepare for our sunset hike to the peak of Mt. Batur (Gunung Batur)! We had to wake up at 3:30 am! Selamat malam!